You will be prompted to either “Upload Media” or “New Video Edit”. Storyboard mode is the basic default mode that works well if your video needs minimal editorial and you just wants to just want to use the default templates. 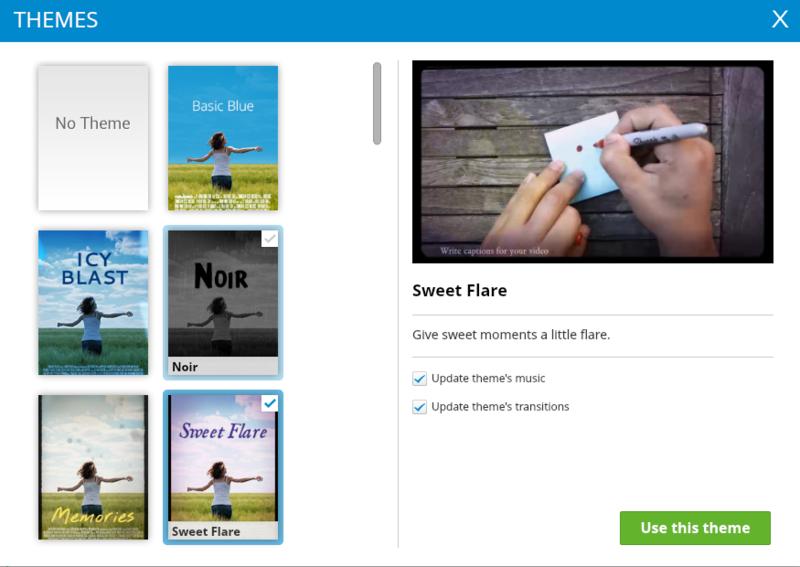 WeVideo has more than 20 over theme templates for you to choose from. The templates sets the filter color, front page, font type and caption format. 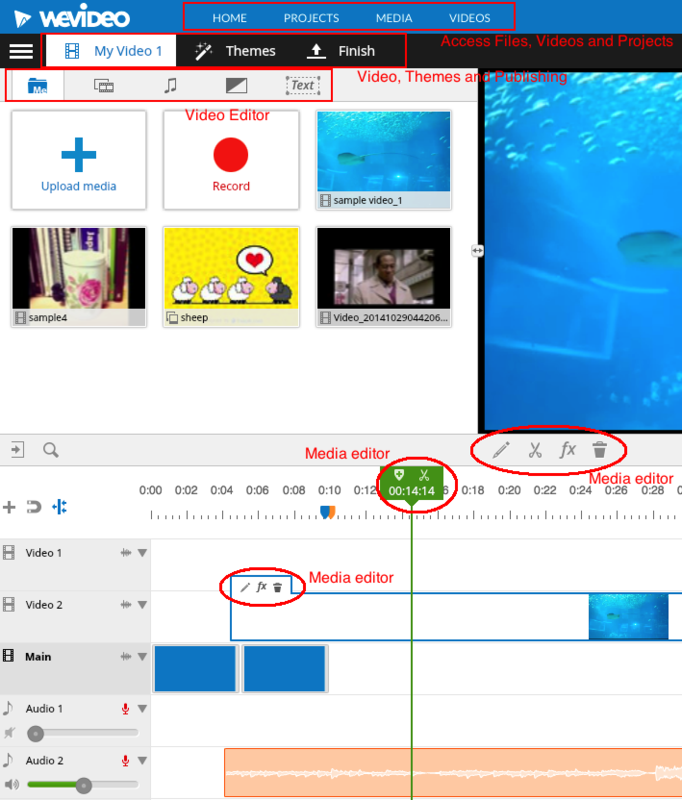 From the video editor menu bar, you can access media folder where all your uploaded media files reside, go to graphics, audio files, transitions and Text to access the default settings and medium offered within wevideo. Transitions is a very useful feature in joining up different media files together and make the transit from one clip to another one more natural and smooth. When two medium clips appearance construct too much, I like to use a BLACK IMAGE and put it in between the clips, it works wonders. Give it a try. 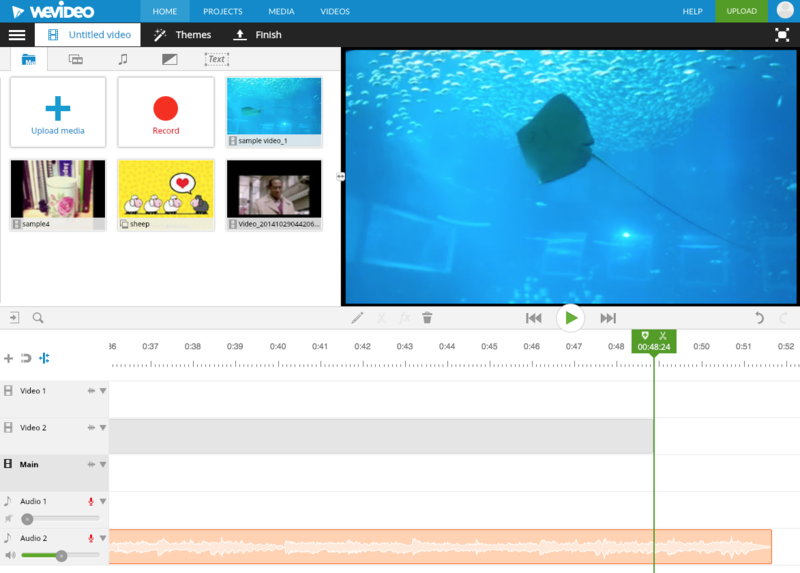 Caption is useful to insert a subject heading to a part of the video or when using it to transcribing audio to text. Captions are defined by the theme itself and cannot be customised. 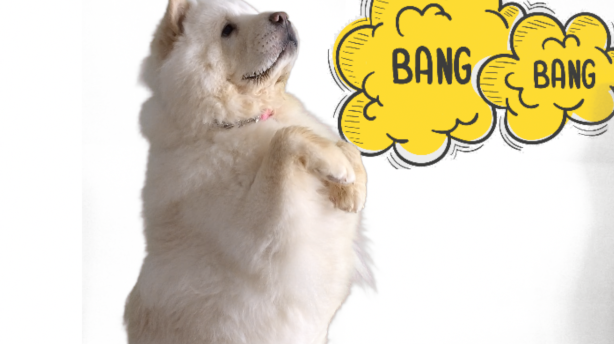 The walk-around is to convert the text into image and put it as an overlay over your video. 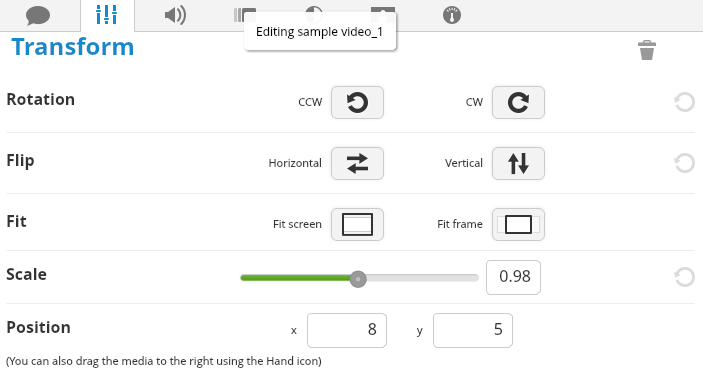 Volume allows you to adjust the captured voice or noise in the video. You can soften or mute the noise and replace it with other audio files. Animation allows you to set the transition of the video at the beginning or/and the end of the media. Color keying and Speed are 2 very powerful features that are unfortunately not available in the free version. Color keying allows you to perform the green/blue screen effect which video producer use to impose a different video or image as background to the existing video. 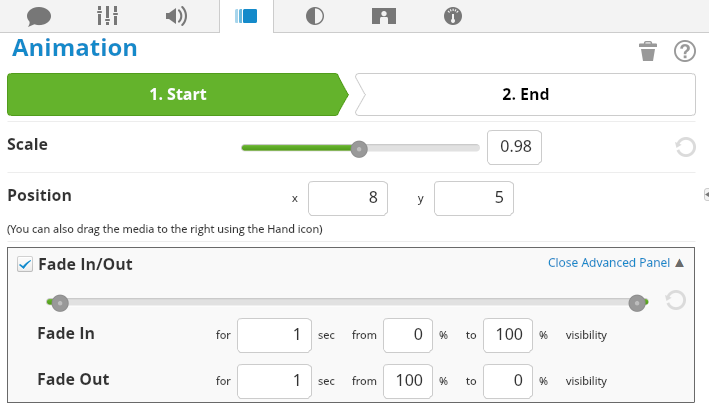 Speed feature allows you to make the video appears to go faster or slower by adjusting the frame rates, minimise motion blur, etc. 480p is the standard internet resolution. It is great for viewing on mobile devices because the video files are smaller. 720p is high-definition and is great for most use-cases because of a good tradeoff between quality and bandwidth. 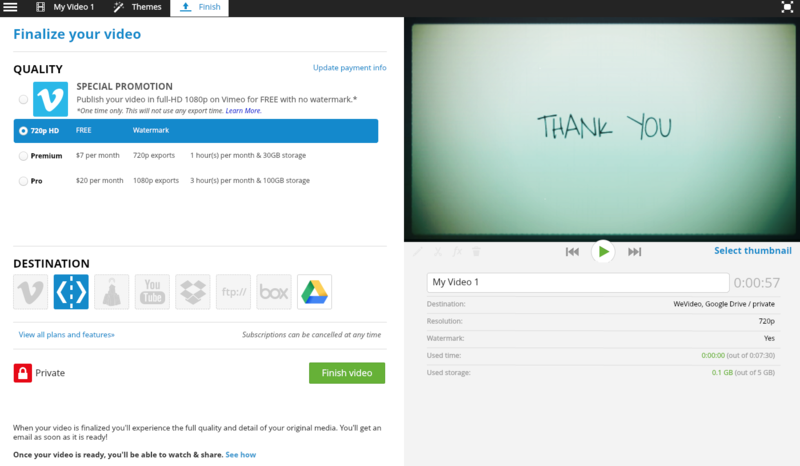 720p is standard for Free WeVideo users. 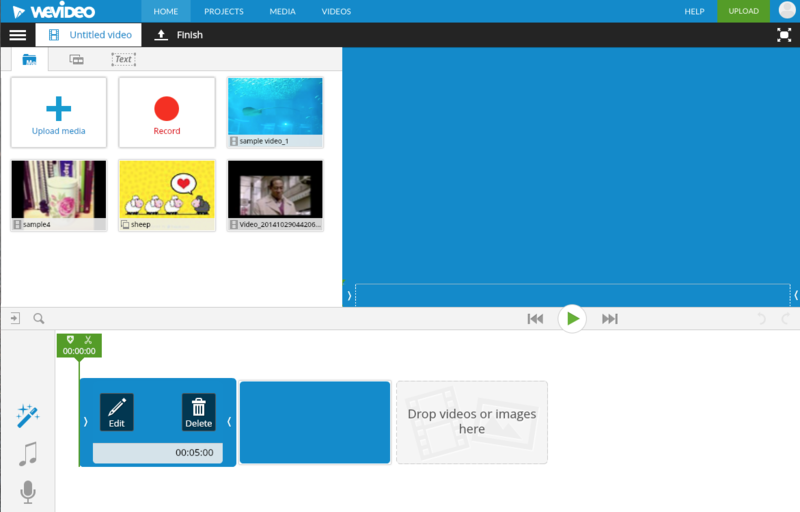 After you click the Finish button, your video will begin the rendering process in the cloud and cannot be stopped. 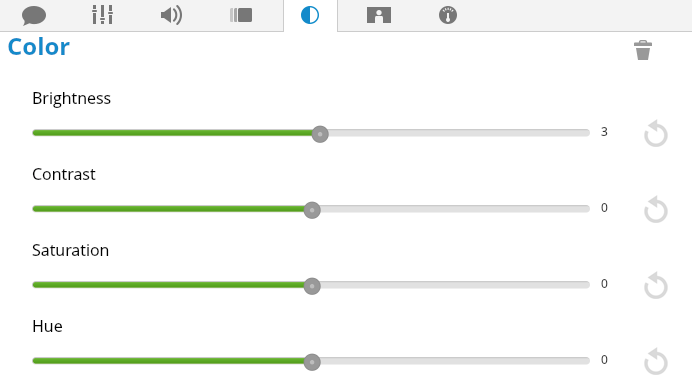 The status menu will automatically open indicating the exporting progress of your video. You can close your browser, even turn off your computer. You will be notified via email once the process has completed with links to view your finished video. 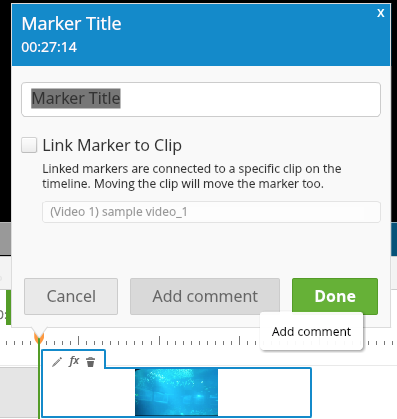 On the page where you view your finished video, there will be a download button.